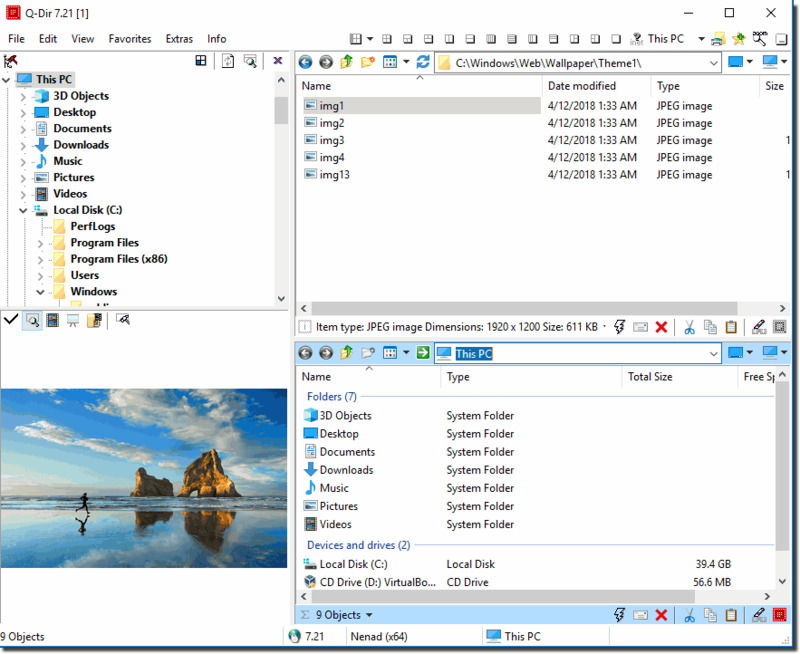 The Quad-Directory-Explorer makes your files and folders easy to manage, either installed or as a portable Windows program. You don't have to give up your usual work habits, drag 'n' drop, view types, and other standard functions of your current file manager. Warning! ► Once Q-Dir, always Q-Dir !!! bcurran3 downloads and packages the included .ZIPs for Q-Dir from the developer's website. This discussion is only about Q-Dir (Install) and the Q-Dir (Install) package. If you have feedback for Chocolatey, please contact the google group. Tell us what you love about the package or Q-Dir (Install), or tell us what needs improvement. Deployed from e27d7a207f. You are on web.1. UTC time is currently 20 Apr 2019 01:28:00 +00:00.